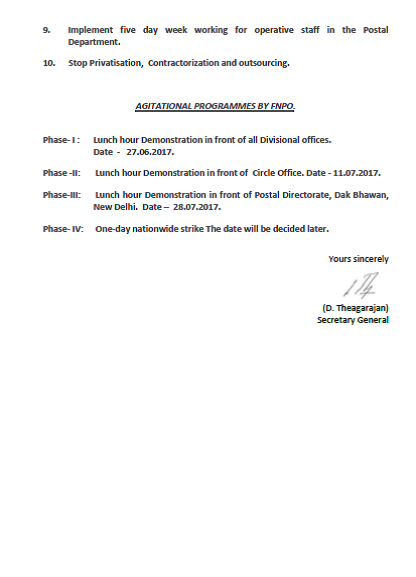 2017-06-18 ~ National Association of Postal Employees, Tirunelveli Division. Click Here to View Results all India wise. The List of Selected Candidates of Tamilnadu Circle. New DPS assumed Charge in SR.
Shri.Pawankumar Singh IPoS. has assumed as DPS, Southern Region, Madurai, Tamilnadu Circle today (20.06.2017). Our Divisional Branch of National Union greets him. தென்மண்டல இயக்குனராக 20.06.2017 அன்று திரு. பவன்குமார் சிங் அவர்கள் பொறுப்பேற்றார். 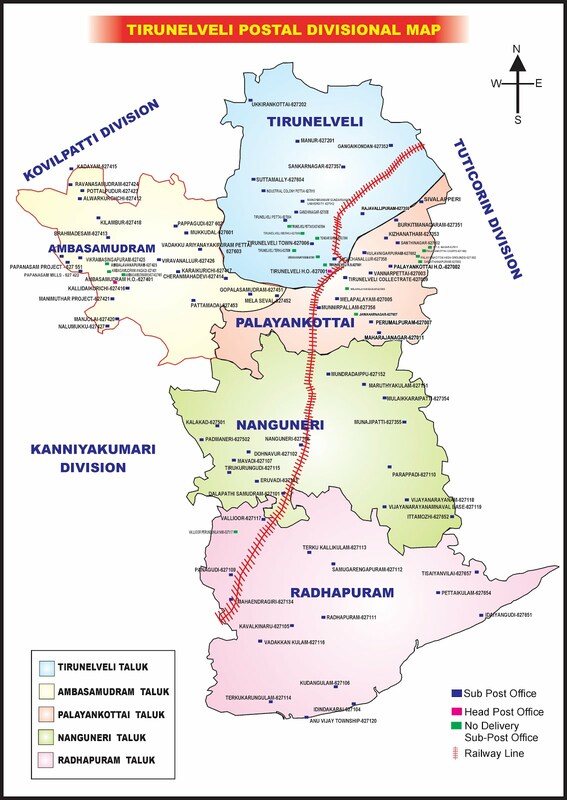 நமது நெல்லை தேசிய சங்கம் அவரை வாழ்த்தி வரவேற்கிறது. 7th Pay Commission – Modi, Jaitley meet, revised allowances from July, HRA at 27 per cent. Prime Minister Narendra Modi met Finance Minister Arun Jaitley and Finance Secretary Ashok Lavasa yesterday evening to discuss his views on the 7th Pay Commission allowances, reported ANI. With pressure building on the government from the lakhs of central government employees, both Modi and Jaitley met yesterday to discuss the issue. 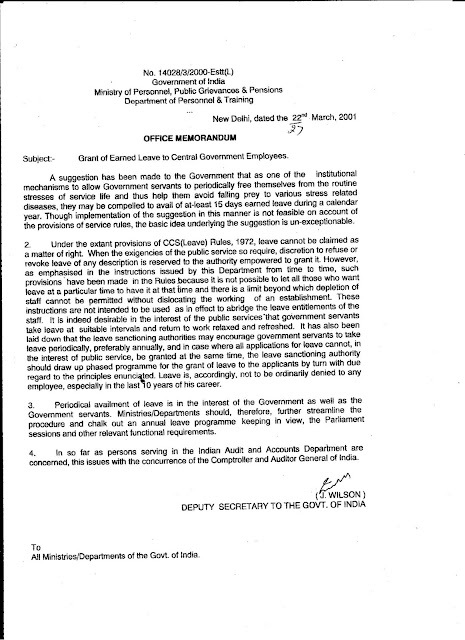 The government has confirmed that the central government employees will get revised allowances from July 2017 onwards. The exact date given for this is July 18 2017. 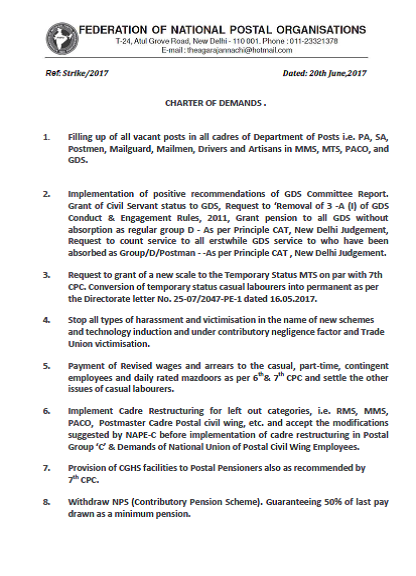 With the unrest among the central government employees growing, it was decided that the government does not want to keep the issue pending. Both the Prime Minister and Finance Minister are going out of the country this week. While Modi will be away in the US, Jaitley is on a visit to Russia from June 20 onwards. Both Modi and Jaitley were unable to discuss the 7th Pay Commission recommendations earlier as they were busy with the Presidential candidate. However it was decided that the two leaders would hold a quick meeting to clear pending issues. Now that the meeting has been held, there is still no confirmation that revised allowances would be rolled out from next month.The issue of revised allowances and higher HRA, the matter would be placed before the Union Cabinet. The Cabinet is meeting on Wednesday, but is unlikely to take up the matter as Jaitley would not be present. It is the Finance Minister who has to place the matter before the Cabinet. Sources say that the matter will be taken up in the next Cabinet to be held on June 28. The federal Cabinet too is reluctant to discuss the matter in absence of its Finance Minister as seen in the past two weeks. Twice the issue of reformed allowance structure has been dropped from the Cabinet’s agenda. The matter which should have been cleared two weeks ago remains pending. On both occasions the agenda was not fixed as a result of which it was not taken up. Government sources said that certain issues were being finalised and hence there was a delay. Moreover many in the BJP government were busy with the Presidential elections and hence there was a delay on higher allowances and HRA. While there is confirmed news that revised allowances would be rolled out from July 2017 onwards, sources now say that the Finance Ministry is in favour of giving HRA at 27 per cent, 18 per cent and 9 per cent for X, Y and Z cities respectively under the 7th Pay Commission. 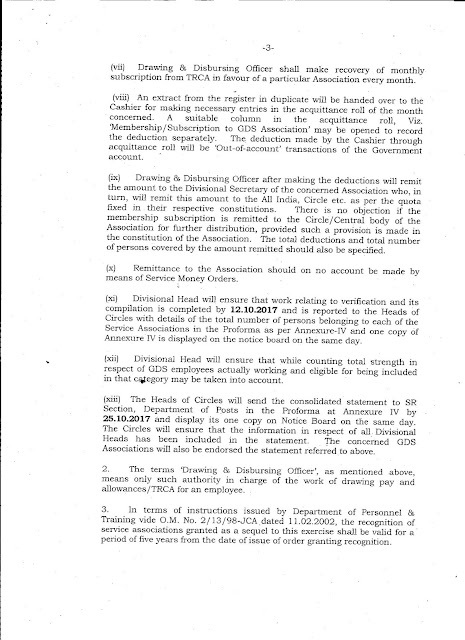 The general secretary of National Joint Council of Action or NJCA is holding talks with the government on behalf of the employees. 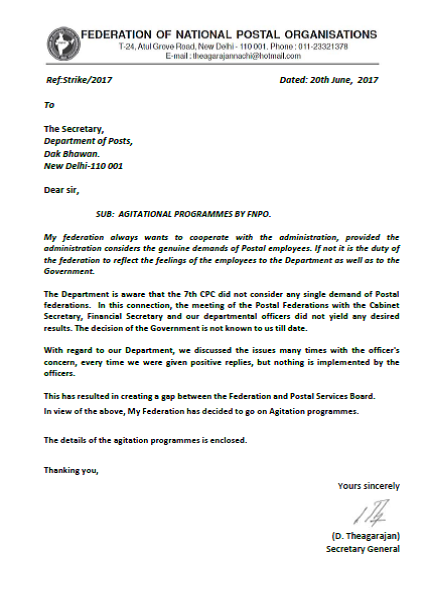 He recently met the Cabinet Secretary P K Sinha and urged him not to delay the matter further. Meanwhile various intelligence agencies say that if the matter is delayed further there could be a nation wide unrest. There is already lot of tension and frustration among the employees. The IB has said that if the matter gets delayed any further it could go out of hand. For now the employees are indulging in peaceful protests such as forming human chains. However if the matter gets delayed further, it could go out of control. The government has taken this report seriously and will work on the issue and try resolving by June end. இந்த ஆண்டிற்க்கான சுழல் மாறுதல் 2017 விண்ணப்பங்கள் நமது நெல்லை கோட்டத்தில் மீண்டும் புதியதாக இன்று முதல் கேட்கப்படுகிறது. If the announcement of the higher allowances and HRA gets delayed any further, it could go out of hand. The IB has said that if the matter (announcement of the higher allowances and HRA) gets delayed any further it could go out of hand. The intelligence agencies have warned that if the announcement of the higher allowances and HRA is delayed further there could be a nationwide unrest. The issue that was supposed to be taken up at last cabinet was not taken up due to the absence of the Finance Minister. It is unlikely that the Cabinet will set the agenda for the issue before June 24. Jaitley will leave on a 4-day visit to Russia on June 20 and currently he is busy with the presidential polls for the agenda to be taken up on 19th. There is already a lot of tension and frustration among the employees. The IB has said that if the matter gets delayed any further it could go out of hand. For now, the employees are indulging in peaceful protests such as forming human chains. However, if the matter gets delayed further, it could go out of control. The government has taken this report seriously and will work on the issue and try resolving by June end. 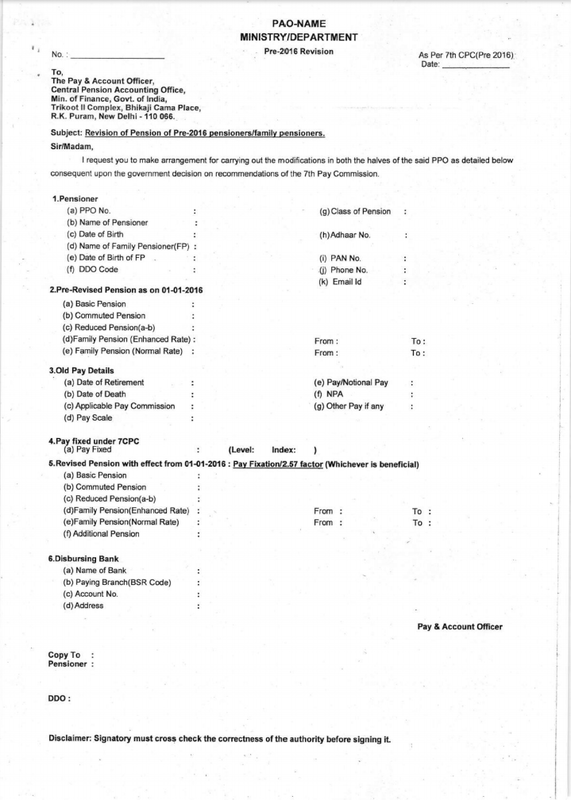 Cadre Restructuring - FNPO Stand clarified. It has been habitual of the NFPE to always claim victory is theirs and in the case of any adversities, they will blame others in regard to Cadre restructuring. We already mentioned in our website the following on 26/04/2017. Today we discussed the matter with the officers in the Directorate. 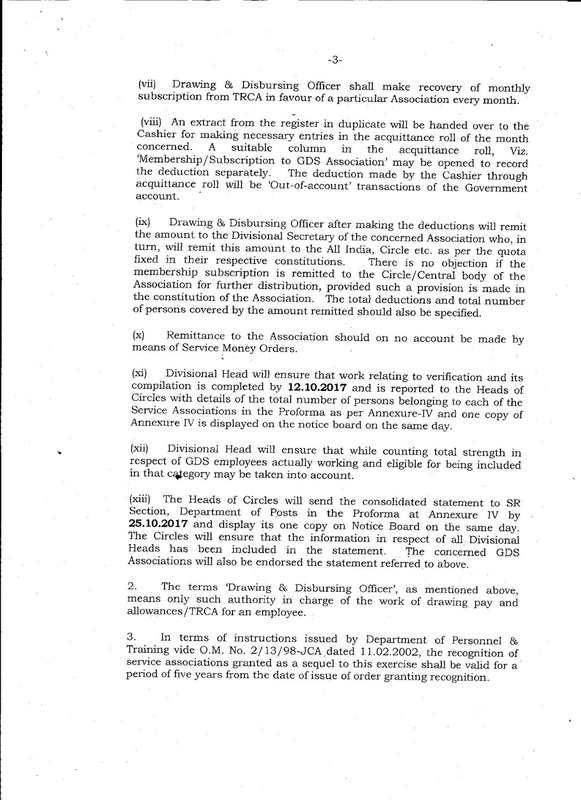 According to our information, the Directorate is going to form a committee to review the order of cadre restructuring after obtaining the views of the Heads of Circle. The committee will take the final decision. FNPO & NAPE-C strongly feel that some modifications required in the present cadre restructuring order at the same time keeping the orders in abeyance will create the unnecessary delay to get the promotion of the staff. We are seeking the appointment of Secretary today after meeting the Chairman, we will post the outcome of our discussion on our website. After that I met the new Chairman only on 08/05/2017 during the meeting I requested him to convene a meeting to discuss the issues cadre restructuring. He agreed but did not conduct the meeting. Constituting a Committee is not news, it was a decision by the then chairman on 26/04/2017. I request the SGNFPE to not claim all victories as his. Our union opposed the divisionalisation of LSG proposal given by NFPE. we are still on that demand. 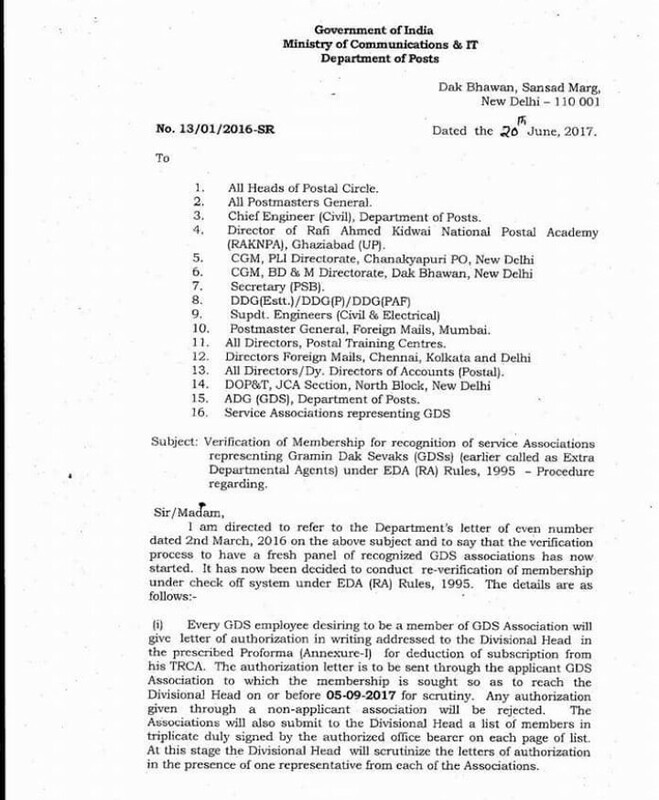 In Tamilnadu instead of up gradation of C & B class offices, PA posts were upgraded in contravention of DOPT and DG orders. 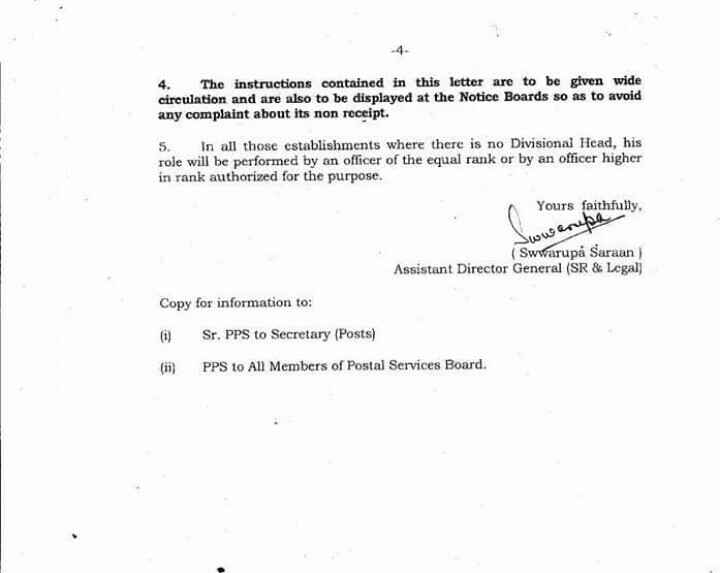 Our union opposed this TN circle orders and given letter to secretary. We never asked total Abeyance. But the GS AIPEU misleading the issue. This is to keep the records straight. 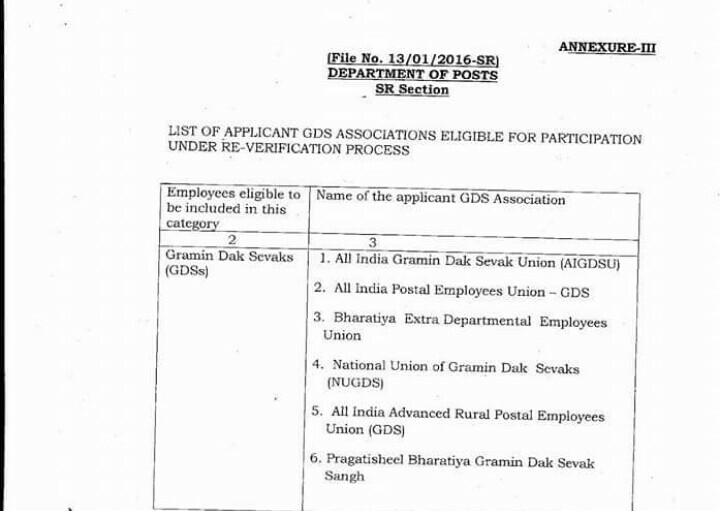 The bank accounts will become invalid, if fail to link Aadhaar. If customers fail to link their Aadhaar details with respective bank accounts before December 31, 2017, the bank accounts will become invalid. If customers fail to link their Aadhaar details with respective bank accounts before December 31, 2017, the bank accounts will become invalid. This means that Aadhaar-less bank accounts will be frozen after December this year. New Delhi, June 18: Quoting Aadhaar card as a mandatory document, the government has now issued a deadline to link the biometric identity number to bank accounts. It has been notified by the government that the existing bank account holders need to submit Aadhaar details to banks on or before December 31, 2017. If a customer fails to do so, the bank account will become invalid. This means that Aadhaar-less bank accounts will be frozen after December this year. Most banks have been encouraging account holders to link Aadhaar with their bank accounts through SMS and phone calls. Till now, PAN card was required as a document to open a bank account, or for any transactions above Rs 50,000 but from June 1, the Aadhaar number has been made mandatory for opening a bank account. 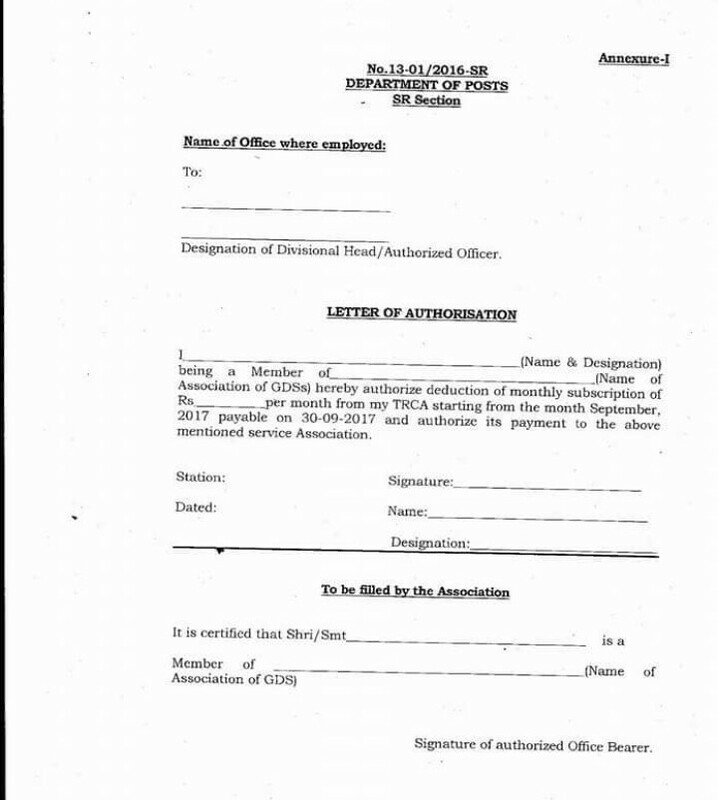 Moreover, if a person does not have an Aadhaar number at the time of opening of account after 1 June, the individual has to furnish proof of application for enrollment in Aadhaar and submit the number to the bank within six months of opening the account. The government has already made it compulsory to link Aadhaar with PAN to avoid individuals using multiple PANs to evade taxes. Grant of EL - Clarification. 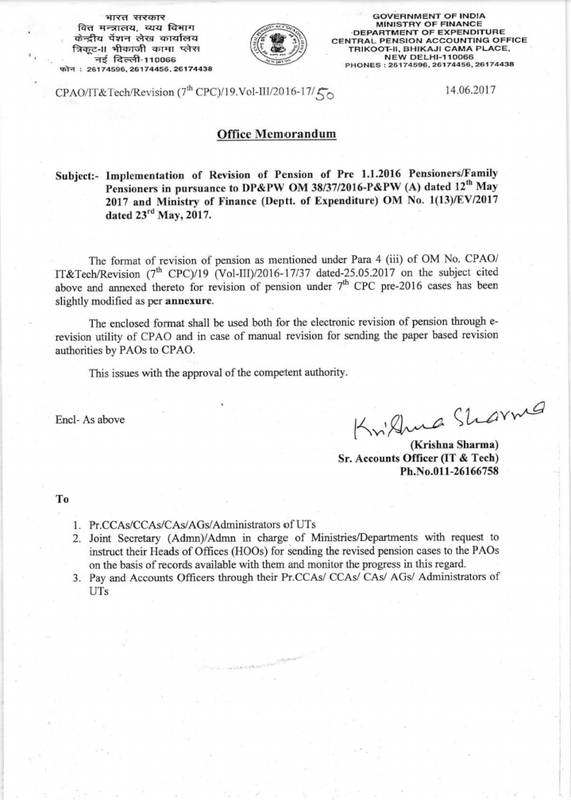 Implementation of Revision of Pension of Pre 1.1.2016 Pensioners/Family Pensioners in pursuance to DP&PW OM 38/37/2016-P&PW (A) dated 12th May, 2017 and Ministry of Finace (Deptt. of Expenditure) OM No. 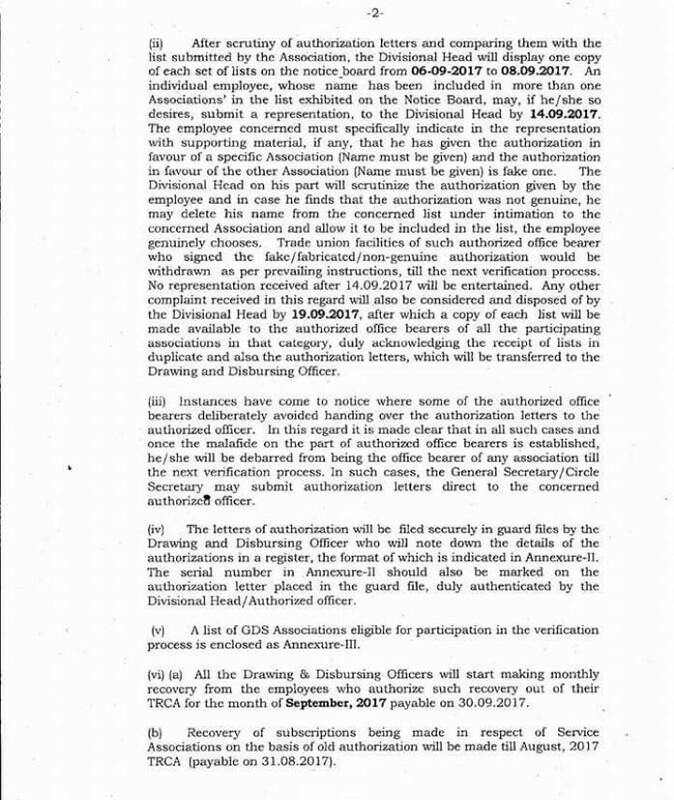 1(13)/EV/2017 dated 23rd May,2017, modified Annexure dt.14-06-2017.